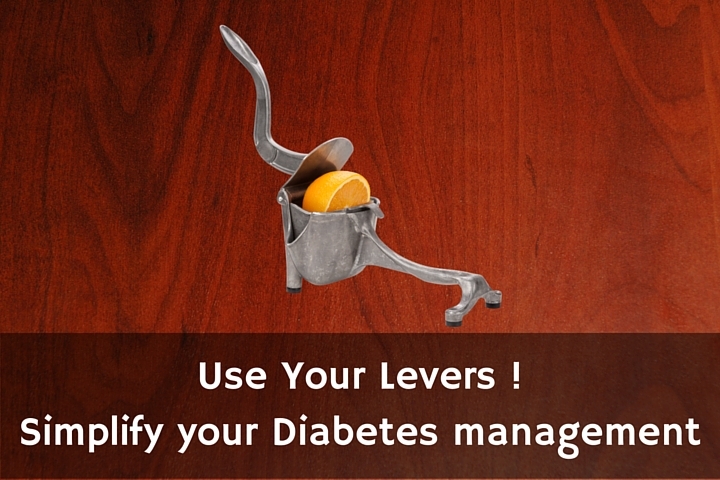 Home » Diabetes Education » Can You Reverse Type 2 Diabetes with Levers? As you ponder the question, “can you reverse type 2 diabetes?”, remember that even our Scissors and Wheelbarrows apply the principle of Leverage. Think About It; Levers Are All Around Us. Simplicity meets Power. Both of the members of the band who were still awake on the tour bus were arguing. They were tired, but they were locked in a heated debate as they rolled north on I-65 on their way home to Chicago. Katie had just spilled about 20 almonds onto the floor, and Nate was not amused. Nate was like the Felix Unger of the band. The animated conversation was about their mothers; two very different women, but both wrestling with type 2 diabetes. Nate was trying to keep the conversation neat & tidy by reminding Katie that target A1c levels and blood glucose goals are fairly standard across the population of people with type 1 or type 2 diabetes. Also, he acknowledged that while there is an ongoing debate about whether grains have any place on the plate of a person with diabetes, guidelines on eating single ingredient “clean” nutritious foods (avoid eating boxed processed sugary garbage) and guidelines on sensible daily exercise are rarely disputed. These details seem to be part of the answer to the popular question, “Can you reverse type 2 diabetes?” He figured that these widely known facts would help them wrap up the argument so he could get some sleep. “Not right. Wrong. Sadly… very wrong,” said Katie. Volition noun vo*li*tion the power of choosing or determining. Katie looked away and softly said, “OK… so that’s probably really easy to do within the few moments that her Certified Diabetes Educator has with my mom, right? Again… I say Wrong.” Katie looked back at Nate as the bus driver downshifted to slowly roll into the highway service area. The bus couldn’t make it home without one more fill up at the gas pump. “Leverage… the increase in force & impact gained by using innovative tools. Too often we are lazy in our thinking. When my great-grandpa wanted to cut a sheet of paper, I saw him use a straight edge knife instead of scissors because (on some distant planet somewhere) that’s how it had been done for years. My neighbor had to move a cord of firewood from a pile in the woods to his back porch… 200 yards away. He had seen another guy hand-carrying four pieces of split wood at a time, so he followed that approach instead of using a wheelbarrow. “Which tools? How innovative are they? 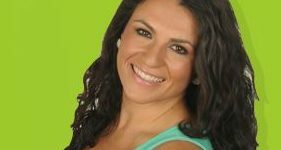 Can you reverse type 2 diabetes by using these tools?”, asked Katie. She knew that Nate was a smart, experienced former entrepreneur who had sold two of his companies before he picked up his guitar and rejoined the band. If someone could simplify a complex problem and bring people together to solve it, it was Nate. He reached down into his backpack and pulled out a black Moleskine notebook; large ruled, hardback, 240 pages, ready to be filled with wisdom, ideas and dreams. He had been thinking about his mom a lot during the long bus rides between cities, so he had already filled about 88 pages with neat & tidy notes. Many of his notes were about how to help Mom to thrive while she managed her diabetes. He shared the high points of his research and plans with Katie. He had boiled a lot of ideas and findings down to about eight key concepts that he called “levers”. It tied back to his “leverage is the missing ingredient” comment. She respected how much thought he had put into “the human nature aspect” of diabetes education and patient adherence. By the time he finished explaining his thoughts, Katie was feeling more optimistic. The levers made sense to her. The bus was now fully refueled, and they gradually regained cruising speed. Northbound… Homeward Bound. Full of plans and justified hopes for their dear moms. All of these work together in harmony to strengthen the person’s Volition. So, Can you reverse type 2 diabetes? Maybe not fully “reverse”, but certainly manage. The CommutaVie team of experts is ready to help you apply these important levers during the hours you have while reducing your stress level. Feel better as a diabetes educator or supportive family member.